It is hard to narrow down the most beautiful landscapes in Brazil to ten entries. 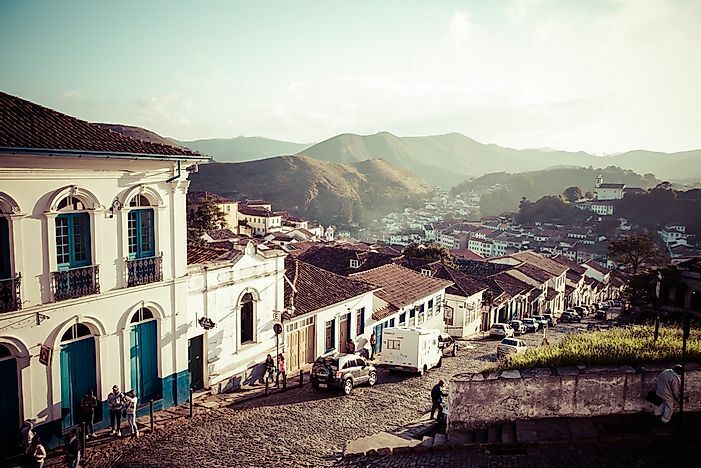 The historic town of Ouro Preto is one of Brazil's most beautiful. A street in Recife, Brazil. 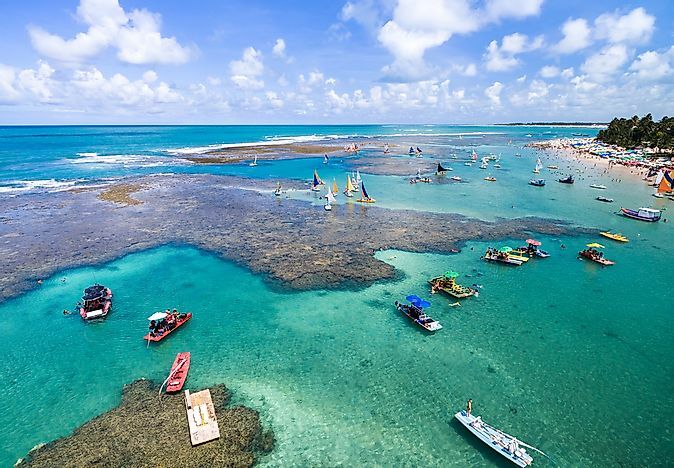 Recife is in the northern parts of Brazil in the state of Pernambuco. 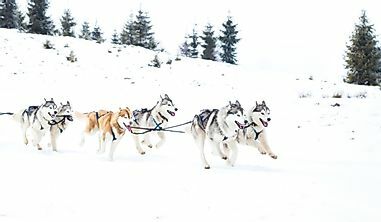 It is in the coastal region of the Atlantic Ocean and found between two rivers before flowing to the ocean. The rivers are the Capibaribe and Beberibe. 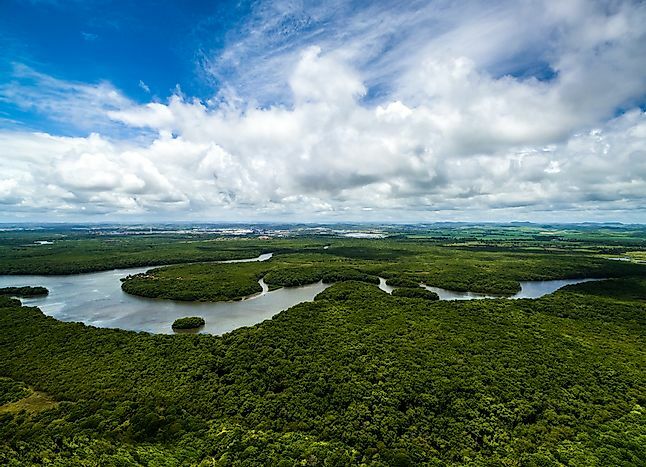 There is big sugar plantation in the area around Recife which makes it a busy city due to the sugar factories. Porto de Galinhas is a famous beach found near the city that attracts a lot of tourists annually. The city is also a historic town evidenced by the presence of Dutch and Portuguese colonial structures. Curitiba is the capital of Parana state of Brazil which is in the southern part of the country. 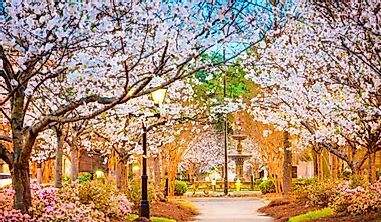 It is one of the greenest cities in the world due to the presence of pinecones in the region. The city of Curitiba lies in a plateau terrain. 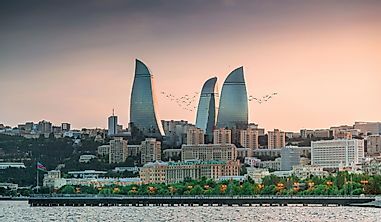 The city has a combination of different cultures that brings about a global blend of the indigenous cultures. 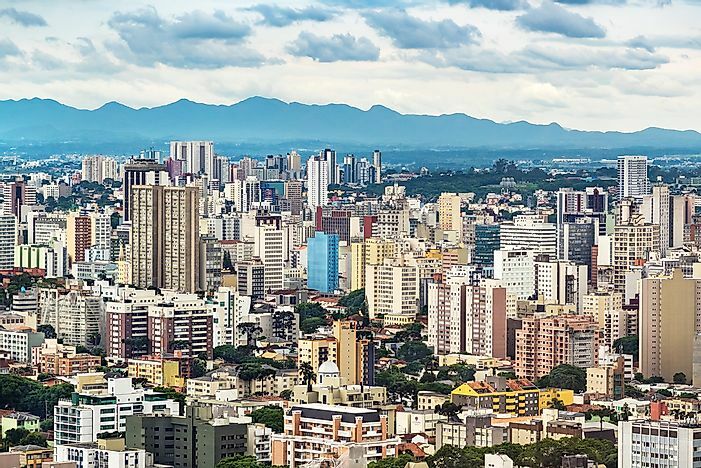 The various cultures represented in Curitiba include German culture, Japanese culture, Italian culture, Portuguese culture and indigenous cultures. 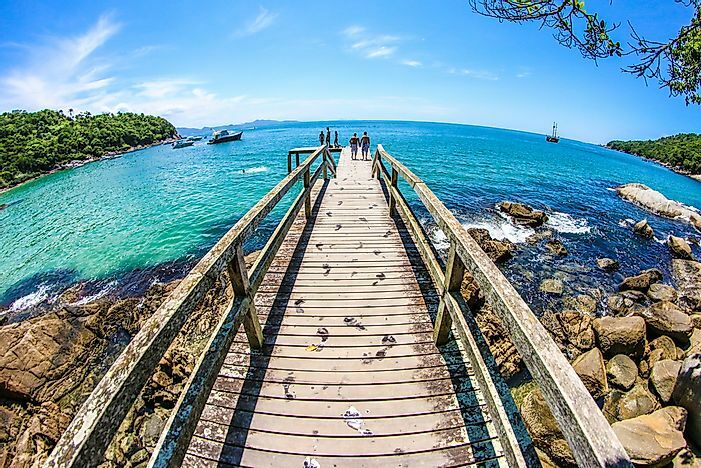 Bombinhas is a beach resort situated in the southern part of Brazil in the state of Santa Catarina. Bombinhas has approximately eighteen beautiful beaches. An example of the beaches found in Bombinhas is Mariscal beach, Sepultura beach, and Praia da Lagoinha. 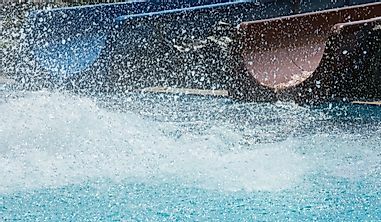 Bombinhas is suitable for tourism activities during the third quarter of the year due to the warm climate of the place. The proximity of Bombinhas to Sao Paulo also makes it easy for tourists to visit. There are a lot of world-class hotels in Bombinhas with a variety of cultures to suit many visitors from around the world. 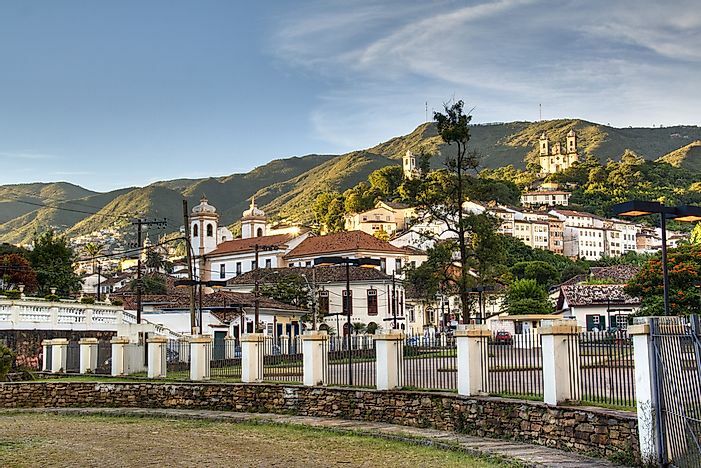 The town of Ouro Preto is in the mountains of Serra do Espinhaco in the state of Minas Gerais in Brazil. It was a mining town during the colonial period in Brazil. Within the town, there are unique structures which include monuments and old churches that house ancient sculptures by prominent artists. Within the town, museums such as Museu do Oratorio, Museu da Inconfidencia and Casa Dos Contos can be found. Paraty is an old town in the state of Rio de Janeiro of Brazil. It was colonized by the Portuguese. The town of Paraty is in the Green Coast. 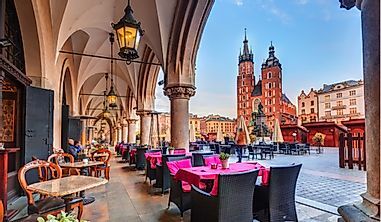 The town is a major tourist attraction site due to the presence of cobblestone streets, waterfalls, forests, islands, old churches and a blend of different cultures. It's also well connected by roadways to major cities including Sao Paulo and Rio de Janeiro. There are boats also which ferry tourists to the various islands within the town. 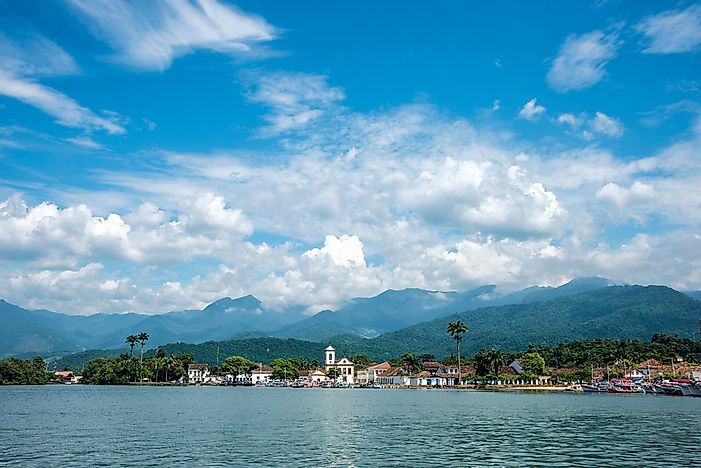 The main sites to visit in the Paraty are the Tamoios Ecological Station, Juantinga Ecological Reserve, Serra da Bocaina National Park and the old village of Trindade. A beach in the state of Pernambuco. Pernambuco State is a state located in the northeast region of Brazil. It has several tourist attraction sites including beautiful beaches which extend a distance of approximately 187 kilometers along the Atlantic Ocean to old historical architectural structures including churches and colonial houses. There are large celebrations of Carnival in Pernambuco, many featuring Frevo which is a traditional kind of music originating from the area. The Fernando de Noronha is located in the Pernambuco state offshore the coastal region and is considered to be a World Heritage site by UNESCO. Pernambuco also houses the Museu Mestre Vitalino and the Marine Park which are major tourist attraction sites in the state. The Amazon rainforest in Brazil. The Amazon rainforest is in South America and covers an area of approximately 5.5 million square kilometers. 60% of the rainforest is found in Brazil while the rest is shared by Peru, Colombia, and Venezuela. The Amazon rainforest of Brazil is popular for its abundant species of plants and animals. The rainforest is home to almost 430 species of amphibians, 380 species of reptiles, 3,000 fish species, 1,300 species of birds and 40,000 species of plants. The Amazon Rainforest has a hot and wet climate with high humidity all year round. 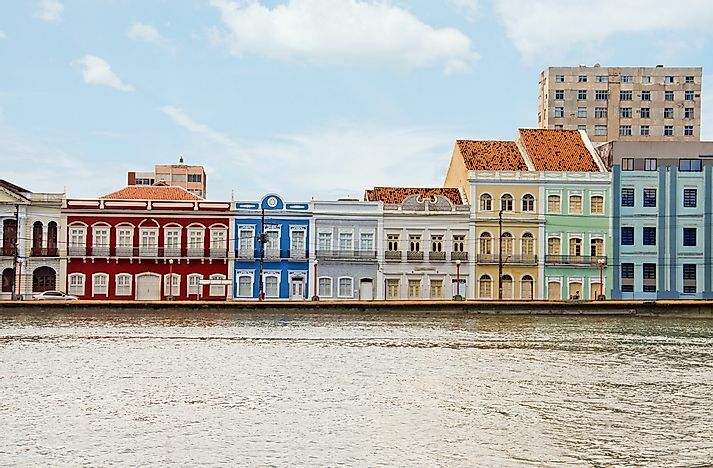 Buildings in Salvador de Bahia, Brazil. Salvador is the oldest city in Brazil and served as the first capital city of Brazil during Portuguese rule. 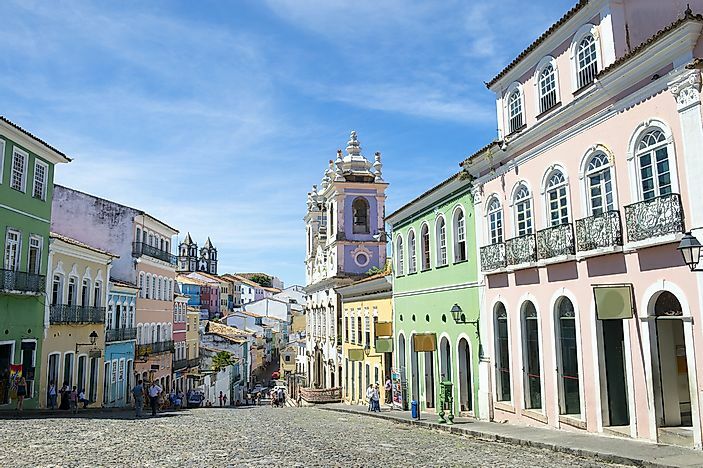 The city of Salvador de Bahia has a mixture of African, European and Amerindian cultures. Salvador de Bahia has the Museu de Arte da Bahia which has sacred images from 17th and 18th century, Chinese porcelain and paintings. Salvador is a historic city with a blend of ancient structures dating back to the colonial period in Brazil as well as new modern buildings. 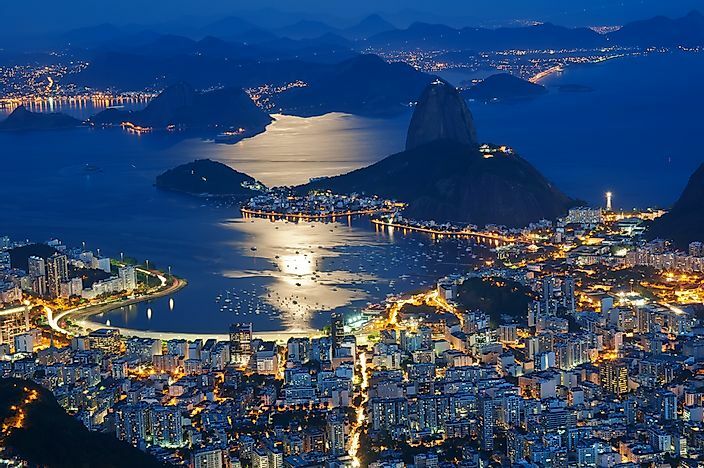 Rio de Janeiro is the second largest city in Brazil after Sao Paulo. Its estimated population as of July 1, 2014, was approximately six million. Rio de Janeiro is popular and frequently visited by tourists due to its consistently warm climate. Its popularity is also attributed to its coastal stretch with the Atlantic Ocean to its east. Rio de Janeiro houses the National Historical Museum and the National Museum of Fine Arts. Other beautiful sites in Rio de Janeiro include the Statue of Christ the Redeemer, Ipanema Beach and the dense rainforests of Tijuca. 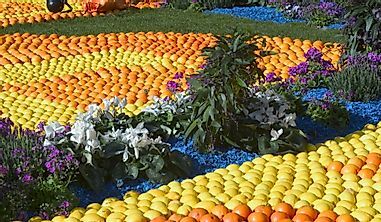 The carnival festival also takes place in Rio de Janeiro and serves to attract thousands of spectactors from all corners of the globe. Iguassu Falls is also known as Iguazu or Iguacu Falls. The name of the falls means big water in the Guarani language. It was discovered by a Spaniard explorer named Alvar Nunez Cabeza de Vaca. 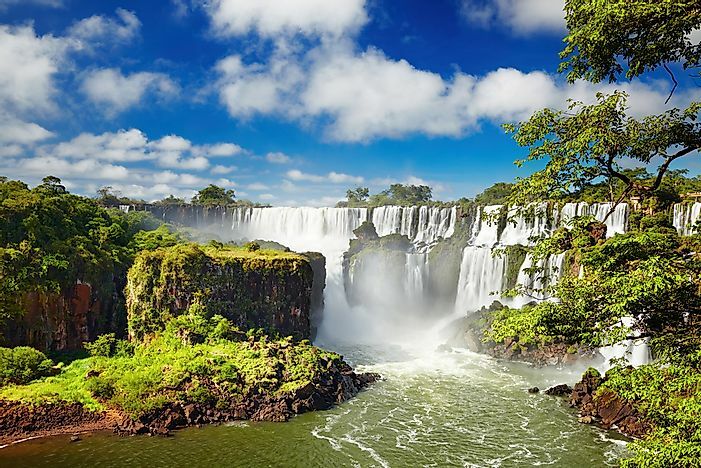 The location of the Iguassu Falls is the Iguazu River in Brazil which also extends to Argentina. The height of the Iguassu Falls ranges between two hundred feet and two hundred and sixty-nine feet with a width of 1.7 miles. The falls can be accessed from the Brazilian side using a walkway which is along the canyon and extends to the Devil's Throat.